Photographing the lighthouse on a day like this one (rainy, cloudy, fog rolling in), made me appreciate the necessity of a lighthouse in these waters. This lighthouse is now home to a Coast Guard family. How cool would it be to be a kid and grow up in a lighthouse! 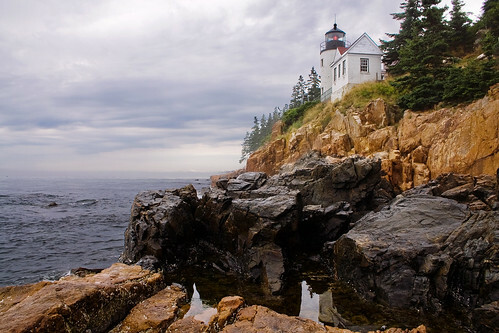 This entry was posted on February 27, 2008 at 5:05 pm and filed under Acadia, Acadia National Park, Atlantic Ocean, Bar Harbor, Bass Harbor Head, Bass Harbor Head Lighthouse, lighthouse, Maine, Mount Desert Island, National Park, ocean, shore, shoreline, vacation, water.